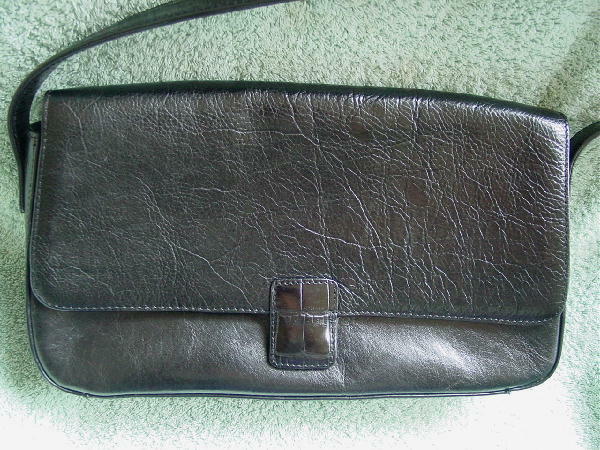 This never-used black genuine leather purse is by Rolfs. It has a magnetic closure under the front flap. 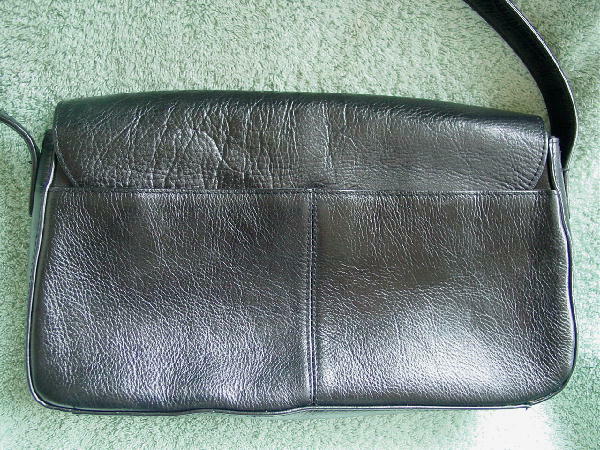 The back has an open lined section with a magnetic snap closure. The interior has a nice black fabric lining with Rolfs in tone-on-tone letters all over it. 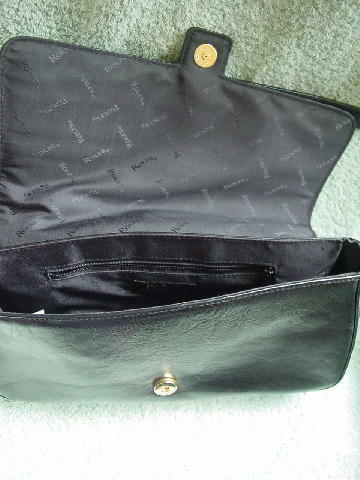 It also has an interior zippered compartment. 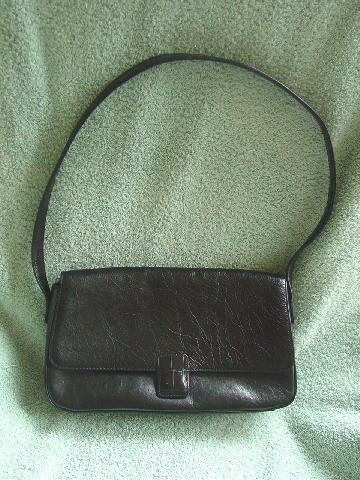 It has a 31" by 3/4" black leather shoulder strap.